Editor's note: This is the 10th in a series of posts by Dennis Horne, sharing quotes from his book, Determining Doctrine: A Reference Guide for Evaluating Doctrinal Truth. You can read the first post here. The first part of each post is a new introduction, placing the quotes in context with contemporary issues. The quotes that then follow are from the Determinining Doctrine book, which contains many quotes that are not readily available elsewhere or are exclusive to the book. “That we henceforth be no more children, tossed to and fro, and carried about with every wind of doctrine, by the sleight of men, and cunning craftiness, whereby they lie in wait to deceive” (Ephesians 4:11-14). Among other things this passage means that we will have apostles and prophets acting as watchmen on the tower to guide and help keep obedient and faithful believers from being deceived by cunning and crafty men and women, until the Millennium, during which time we will all come to a unity of the faith under Jesus as our Lord and King and we will no longer need them. It almost makes one weep with joy and thanksgiving to think of—a thousand years of no negative, icky, anti-Mormons/anti-Christs flooding the earth with their deceptions and falsehoods; a time when there will no longer be people “who are blinded by the subtle craftiness of men, whereby they lie in wait to deceive, and who are only kept from the truth because they know not where to find it” (D&C 123:12). But until “the day cometh that shall burn as an oven, and all the proud, yea, and all that do wickedly shall burn as stubble” (JS-H 1:37), and the great Millennium begins, we have prophets and apostles teaching true, pure and powerful doctrine to all those who will listen and obey and thereby benefit both now and eternally. Elder M. Russell Ballard recently quoted President Hinckley on this tremendous responsibility: “In a General Authority training meeting, President Gordon B. Hinckley taught on the subject ‘keeping the doctrine pure and the Church on the right course.’ He said, ‘We cannot be too careful. We must watch that we do not get off [course]. In our efforts to be original and fresh and different, we may teach things which may not be entirely in harmony with the basic doctrines of this the restored Church of Jesus Christ. … We had better be more alert. … We must be watchmen on the tower.’” So it is, and we thank Almighty God for it. We have the responsibility to preserve the doctrinal purity of the Church. We are united in this objective…. The Lord has only one source for the declaration of His basic fundamental doctrines. 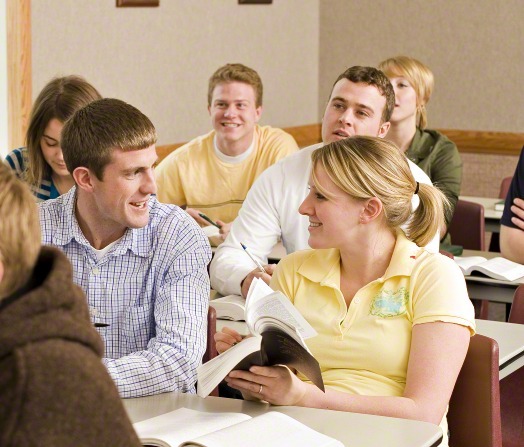 Even as General Authorities of the Church, we are instructed: “In order to preserve the uniformity of doctrinal and policy interpretation, you are asked to refer to the Office of the First Presidency for consideration [of] any doctrinal or policy questions which are not clearly defined in the scriptures or in the General Handbook of Instructions.” In this way, conflict and confusion and differing opinions are eliminated.